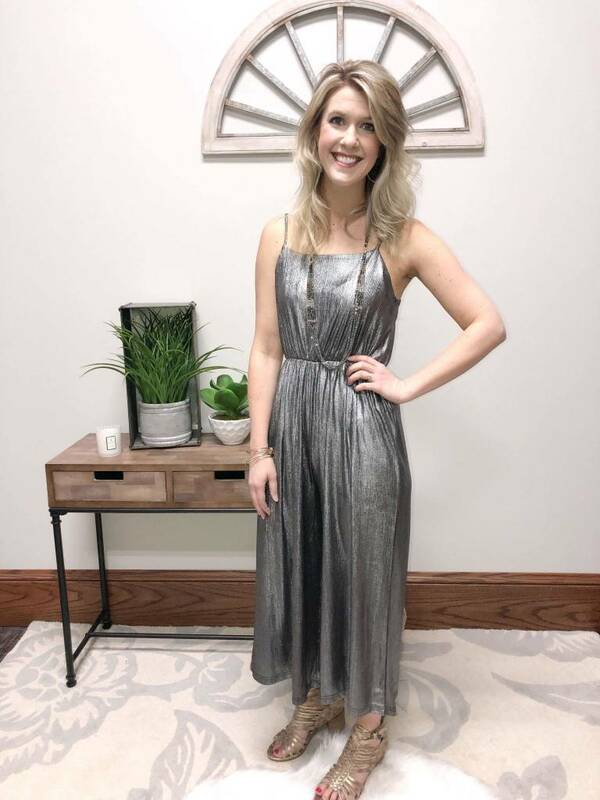 This metallic jumpsuit is a favorite at Urban Threads! It looks so cute with a leather jacket over it and a shimmery necklace. Lindsey can't wait to wear this to market in Las Vegas. This jumpsuit is perfect for a wedding or special occasion you have coming up.